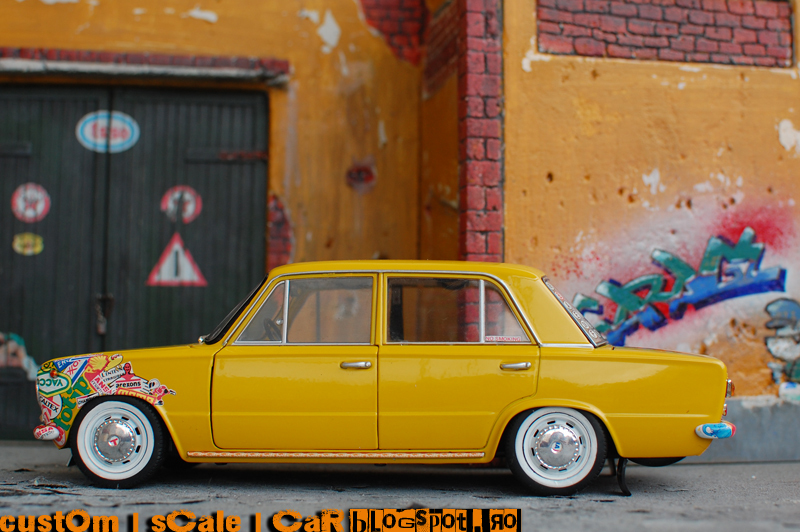 I continue the LowEast Project, this time, with a 1|18th scale model. 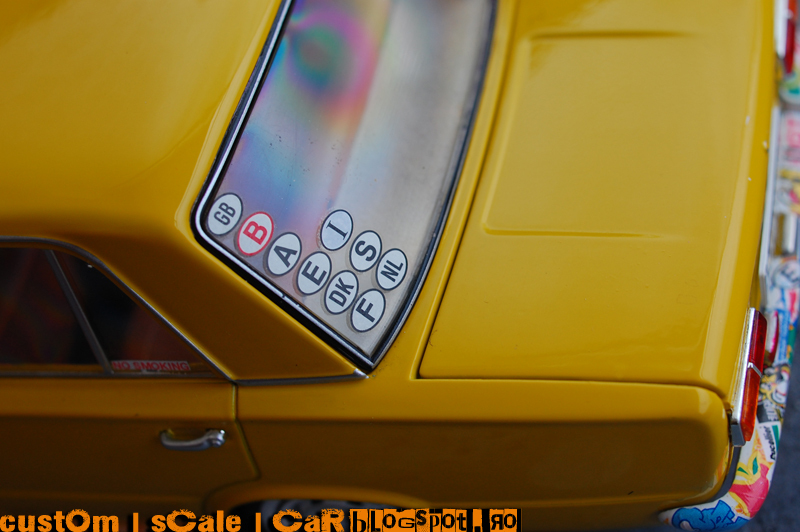 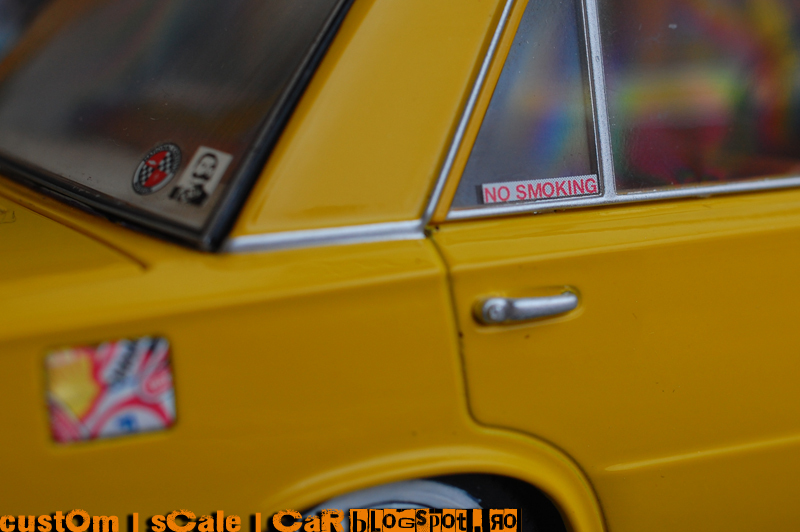 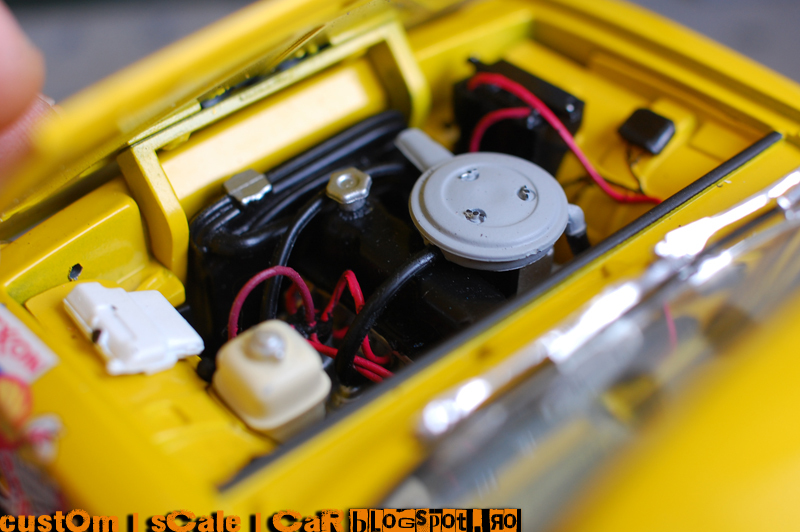 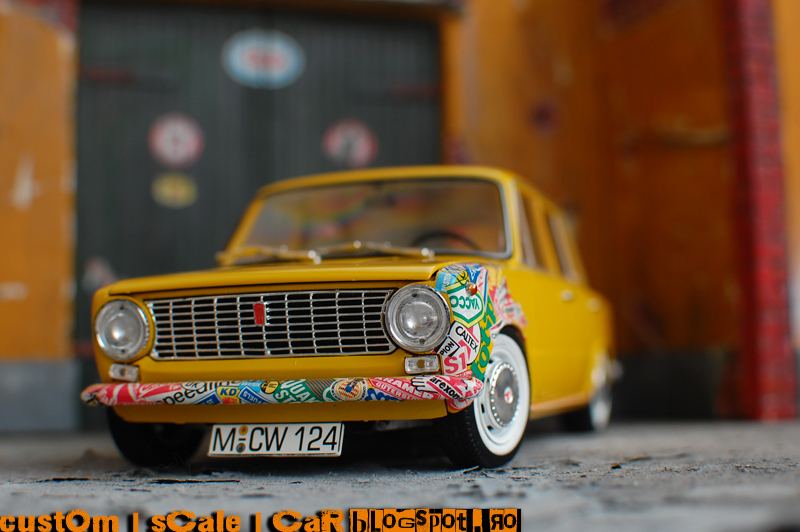 It is an FIAT 124 Yellow mustard, color laid down on the model specially for the Model Car World (http://www.modelcarworld.de/de/) die-cast scale models seller (They say “The limited edition of 1,012 copies model is expressed in classic yellow”). 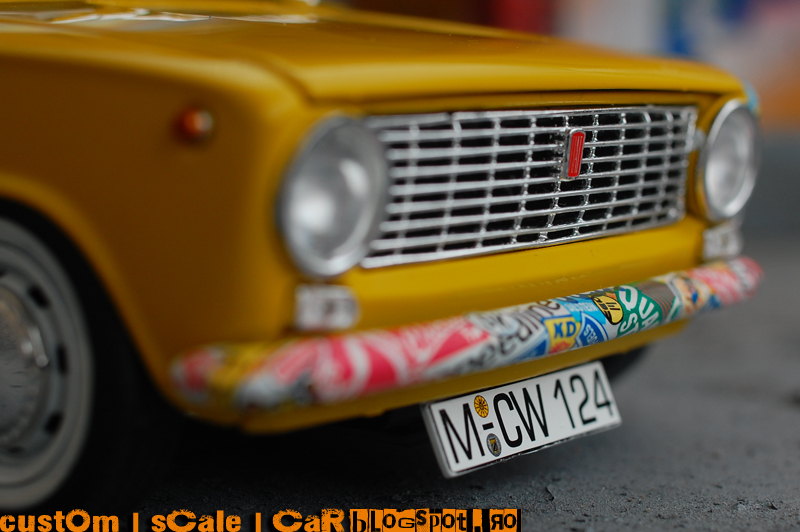 There are some “luxury features” reporting to the Russian sister car, Lada 12oo. 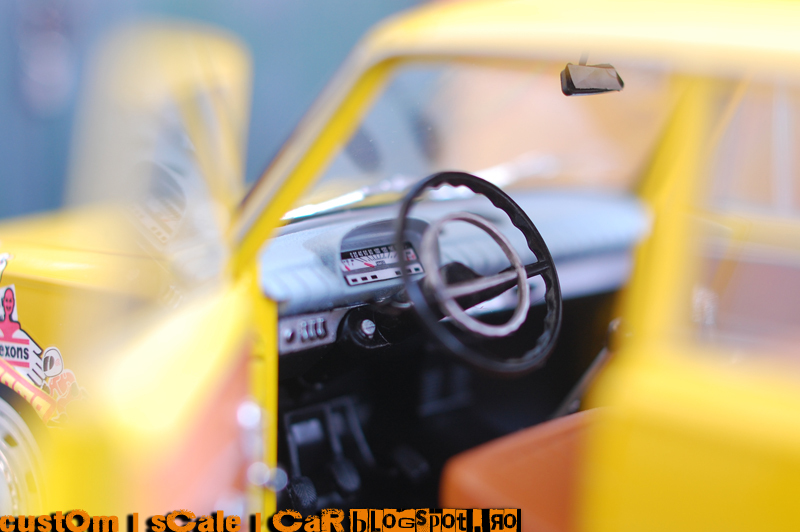 The white tire ring and the interior slightly retouched make the difference between the two car models. 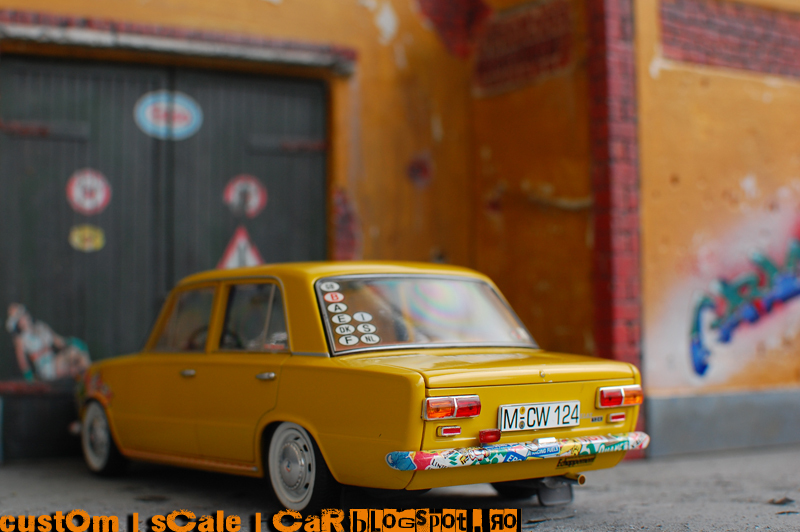 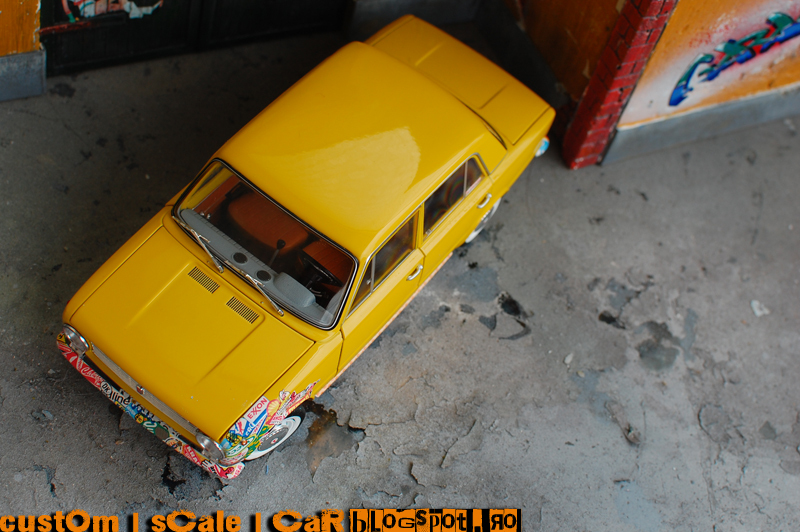 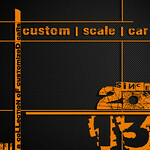 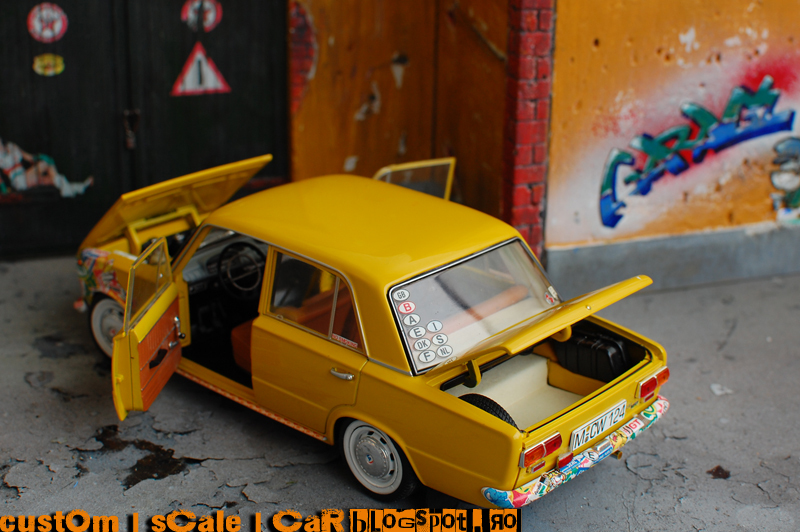 So, inspired by the lowered Lada cars I found on the net, I did the same thing with this scale model. 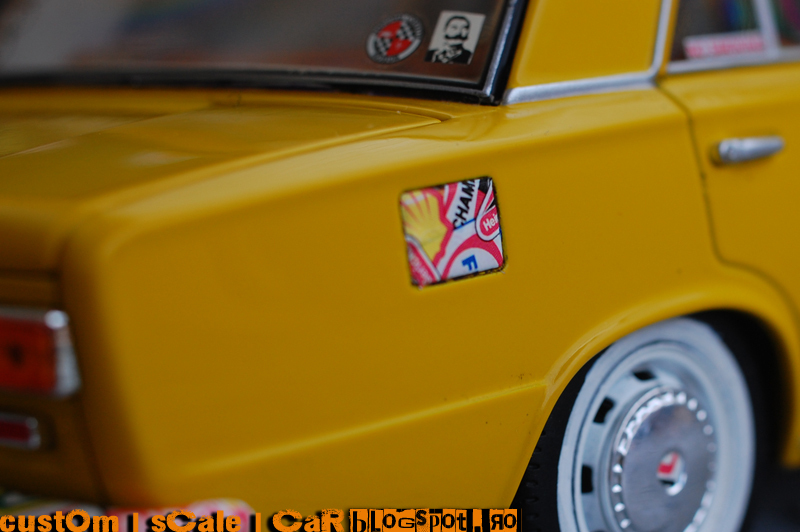 The modifications involved the reconstruction of the rear axle (cutting a piece of the axle upper side) and of the front suspension (reconstruction of the “upper suspension arm” on the molded body chassis). 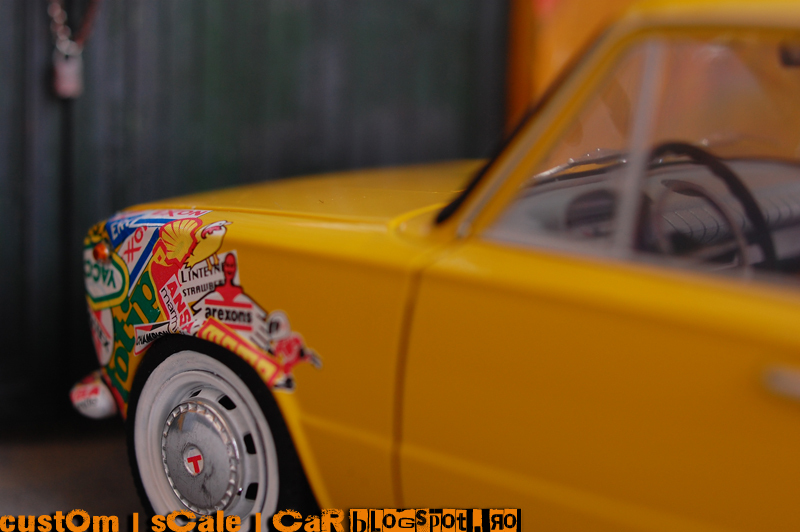 Doing these things I lowered the (die-cast) car about 10 mm, which is enormous when we’re seeing the “factory condition”. 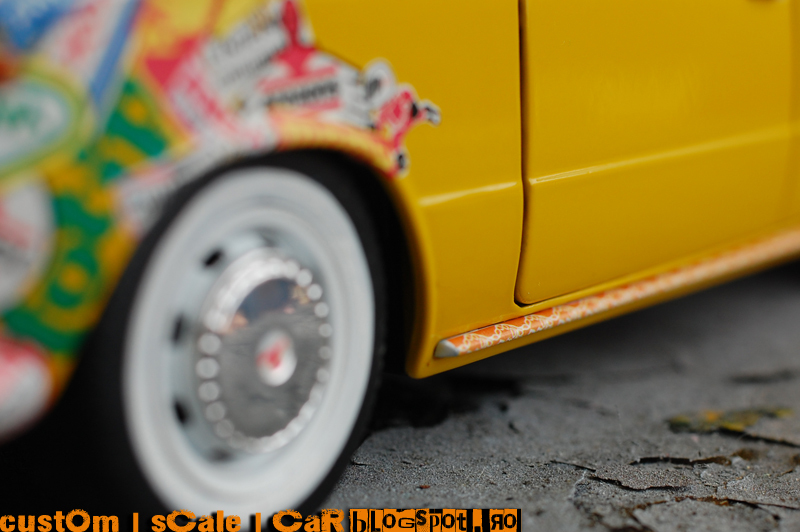 The white ring becomes white wall and the rims they selves get a flat white finish to fit the look of a classy Euro low rider. 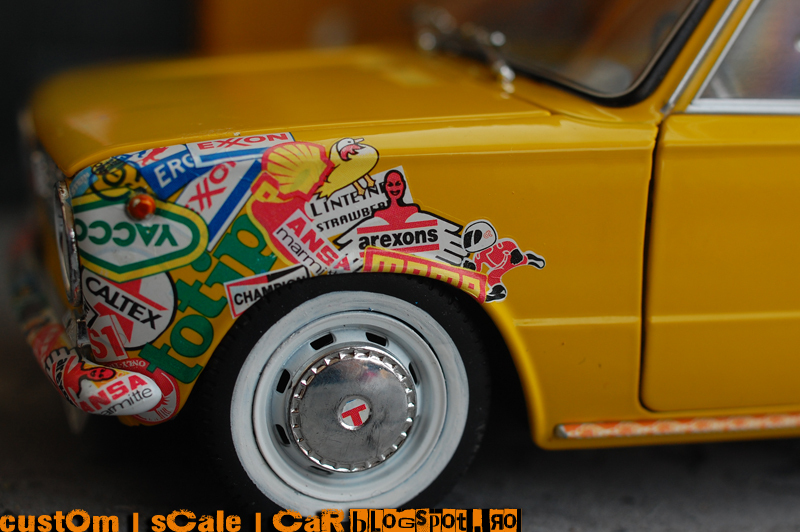 The sticker bomb decoration is made from the real tiny decals provided by different donors kits. 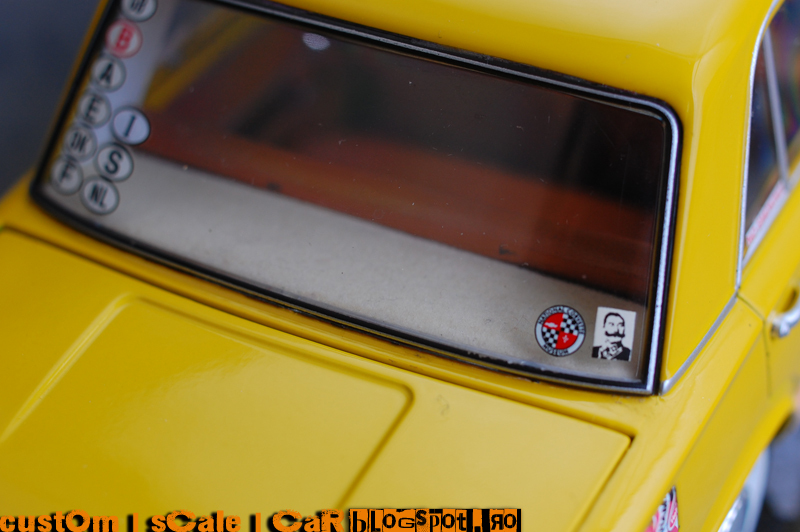 The under doors trims are covered in some nail decals from a beauty shop.